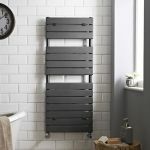 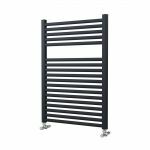 Bathroom towel radiators are a superb upgrade or alternative to the standard white panels that grace the bathrooms of millions of homes. 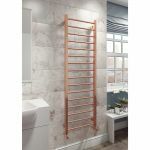 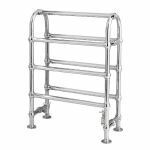 As well has heating the room ladder rails allow you to easily hang and store towels ready for use after a bath or shower. 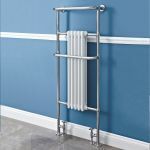 A chrome towel radiator can greatly improve the aesthetic appearance of your room though in general white models have a higher BTU output. 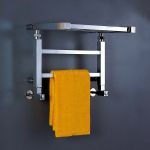 There is a size to suit almost any space. 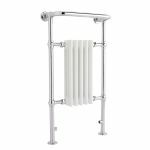 From the standard fair 500mm wide to the tall slim offerings that start at only 300mm wide and go up to 1800mm tall. 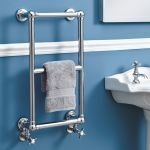 So you can still have the warmth even from the tightest of spaces. 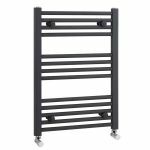 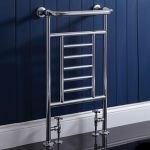 Whether you require a traditional looking model such as the popular Harrow from Ultra, an up to date stainless steel radiator like the Phoenix Athena or an electric only towel warmer there is an option for you. 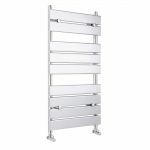 Use the navigation filters to the left to input your perfect size, colour and heat output for your bathroom space.